One of the largest producers of oil in Ukraine - "Vinnitsa Oil and Fat Plant. 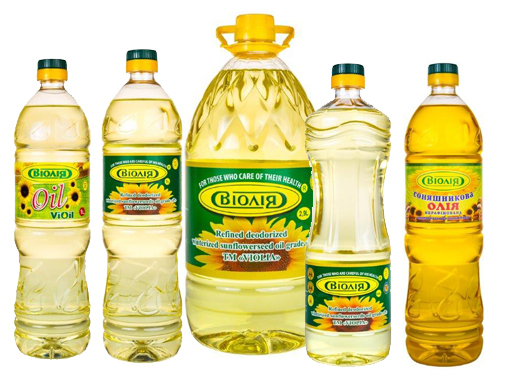 ", ViOil Group chose "Index-6" as a supplier of a filling machine for sunflower, rapeseed and soybean oil in PET bottles. The product is marketed under the trademark "Violiya" in various packages (1 liter, 2,9 l, etc. ), exported to over 45 countries in the world. The plant processes nearly 1 million tons of oil crops per year. The installed unit is one of our best in class - Pragmatic® 15/6, with weight technology in Ultra Clean edition, equipped with our patented filling valves, guaranteeing a precision of 1 gram of product. The performance is 9000 bottles per hour at 1 liter. In addition to its regular filling, the block also has a control over the time to change formats parts and is very versatile for different types of bottles, as well as for changing fluids in the product tank.